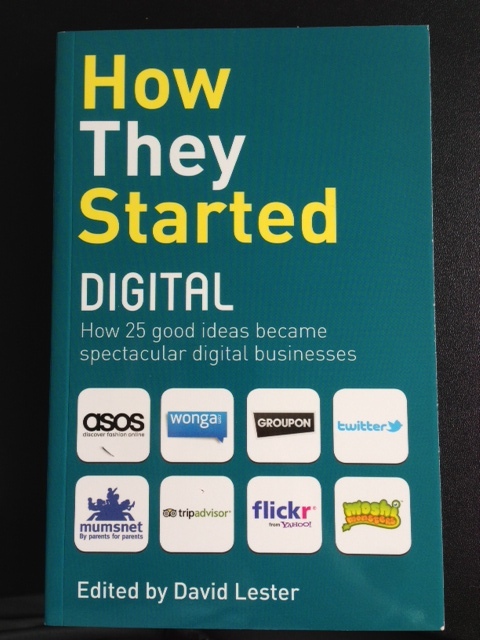 I received a copy of the book ‘How They Started Digital’, edited by David Lester. The blurb at the back promises that the book tells ‘the fascinating stories of how 25 famous and highly successful digital businesses were set up‘. I am looking forward to start reading it – hopefully by Tuesday, after I submit this chapter that I am writing about methodological issues around collecting data on the Internet (blogs, discussion groups, etc). What interesting books are you reading, or have read recently? Posted on May 17, 2013 by anacanhotoPosted in UncategorizedTagged Books, Digital, Entrepreneurship, Start-ups, What I am reading.